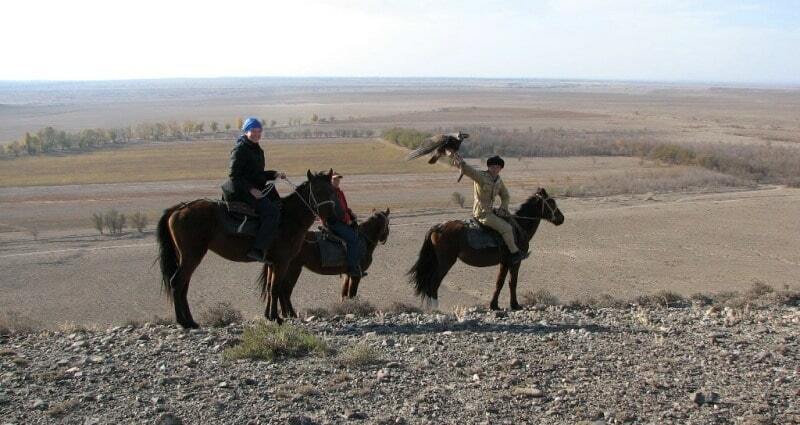 Hunting with golden eagle in Kazakhstan. 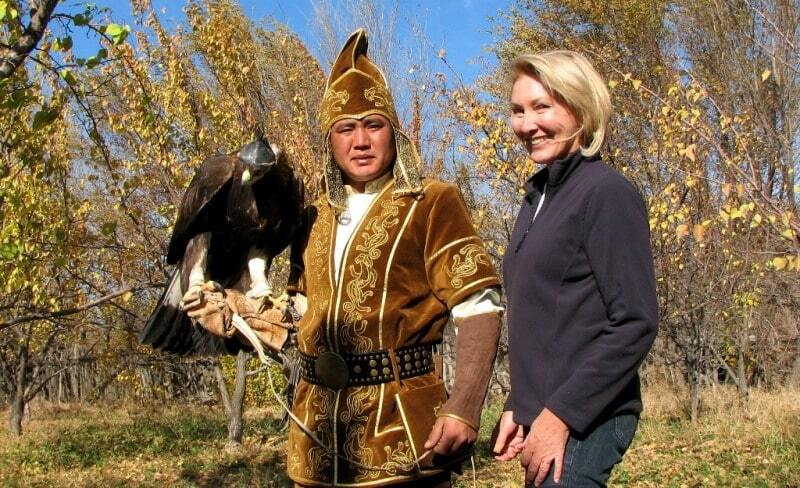 Tours of hunting with golden eagle in Kazakhstan. The Geographical position of a place of hunting with a golden eagle in Kazakhstan. 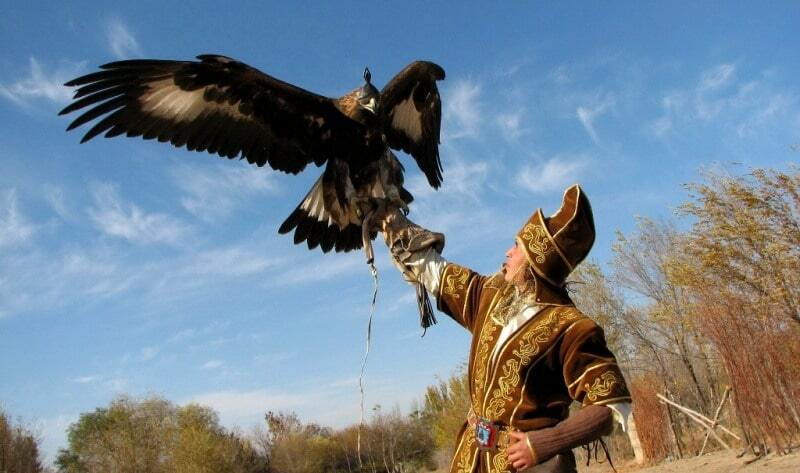 The program of hunting with a golden eagle is on small territory located in 150 kilometers in the east from Almaty. Place of hunting golden eagle in Kazakhstan. Indicative hunting will be presented to the east of settlement Nura in small hills, spurs of mountain ridge Sogety. In mountains Sogety which were last in latitudinal strike a direction from the West on the east and are the most northeast spurs of ridge Zailiskiy Ala-Tau. The greatest mark in mountains Sogety top of 1801 meter above sea level. In the east settlement Nura mountains Bolabogety with a mark border of 1441 meter above sea level. From the north from settlement Nura there is Kapshagay a water basin and the river Ili. Near to settlement there passes a motorway of Almaty - Narynkol and Almaty - Zharkent. Climate of place of hunting with a golden eagle in Kazakhstan. A climate here continental. The summer very hot and dry, including September, temperature these months reaches in hot days more + 40 degrees C. Precipitation rare, but sometimes there are torrential rains. In October, November there is a warm weather, with temperature up to + 25 degrees with in the afternoon, at night the temperature goes down, in November there are frosts at night, In November there are rains is more often. Golden eagle a bird in Kazakhstan. A golden eagle a bird of family eagle, group predatory. In Kazakhstan lives everywhere, except for woodless deserts and steppes; in the south of republic - settled, in the north - partially migrate. The sizes of a bird up to 95 sm, wing span up to 220 sm, weight of a bird 4 - 6 kg. Plumage same, dark-brown. A nape and a neck gold-red. At young individuals a tail white, with a wide black strip on the end, a bottom of a wing with large, white spots. Down a nestling cleanly white. Lodges in pairs, arranging huge (the nest of the bird up to 2 meters in diameter) the nest of the bird in niches and on ledges of rocky breakages, on trees. In March - April hen postpones 1 - 3 eggs, which brood about 45 days basically hen. Nestlings leave a jack in 2,5 months, but still long parents sponsor them. In natural conditions lives till 100 years. Eats: in mountains - marmots, rock ptarmigans, snowcocks, ravens and susliks; In deserted areas - giant day jird (Rhombomys opimus), hares, partridges, hazel grouses, turtles, snakes, etc. Occasionally attacks foxes and badgers. The Kazakh names of a golden eagle. The golden eagle for a long time is used as hunting a bird. Hunting with a golden eagle from an antiquity has specific character, now is supported by experts - Berkutchi. Hunting with a golden eagle the need patience and knowledge. Hunters Berkutchi name a golden eagle depending on age: till 1 year - Balapan, 2-years - Kantubit (кануб), 3-years - Tyrnek (тыр-нек), 4-years - Tastulek (таскулек), 5-years - Muzbalak(музбалак), 6-years - Koktubit (кектубит), 7-years - Kana (кана), 8-years - Zhana (Жана), 9-years - Maitubitт (майтуб), 10-years - Barkyn (баркын), 11-years - Barshin (баршын), 12-years - Shogel (шегел). 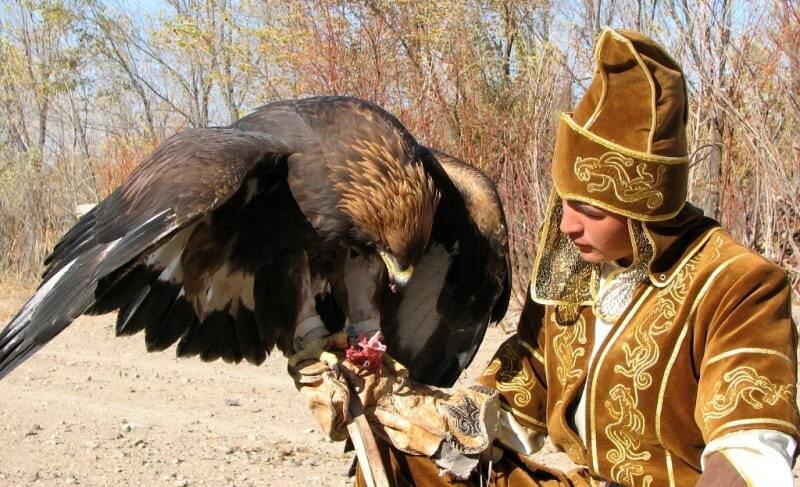 The golden eagle very rare bird, is brought in «The Red book of the Rssia» and «The Red book of Kazakhstan». 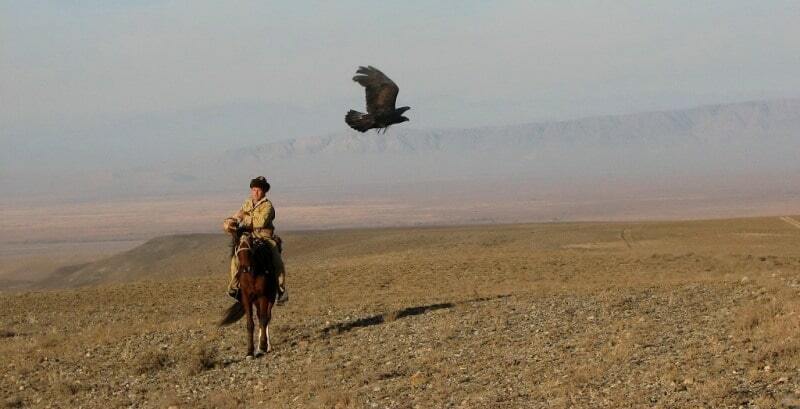 Hunting with a golden eagle in Kazakhstan. Hunting with a golden eagle the most unique feature of the Kazakh life. The hunter name Kusbegi and Berkutchi. Experience of training of wild birds to store knowledge Kazakh Kusbegi centuries, secrets passed from the father to the son and stored from strangers in deep secret. Earlier Kusbegi was much, but today we meet people with such calling very seldom. These masters have natural gift of education and training of wild birds. 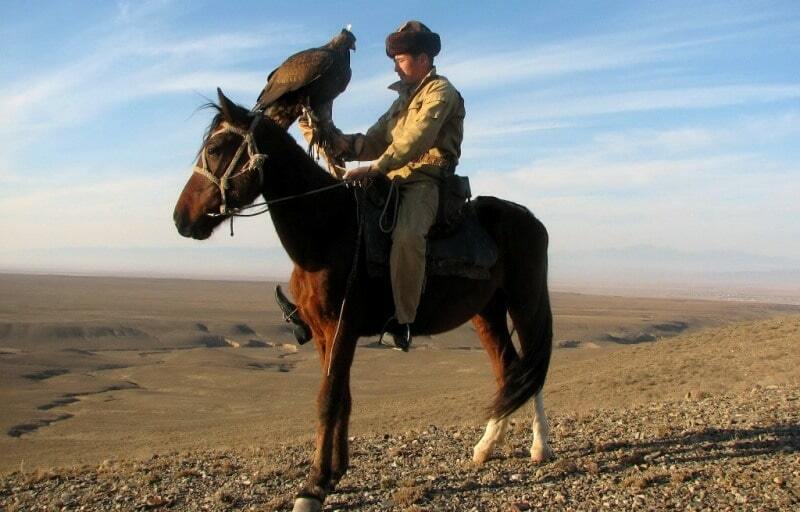 For hunting they tame falcons, golden eagles, eagles. To birds give names depending on their appearance and warrior qualities. 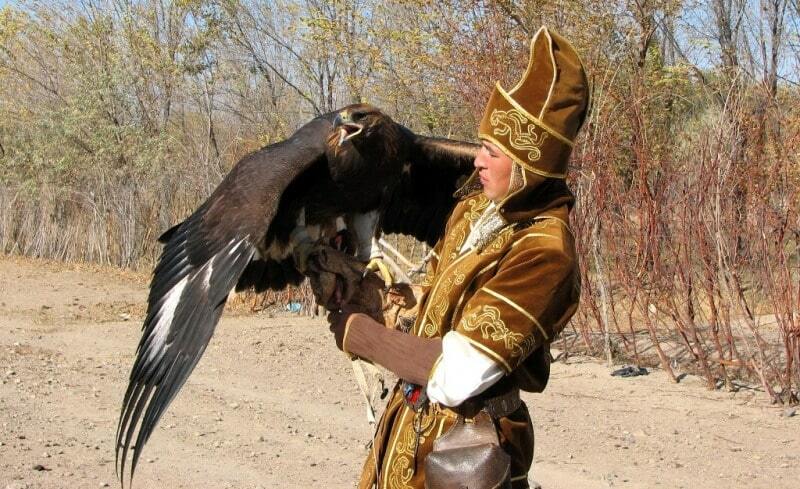 Hunting with a golden eagle exists already during ten centuries. The tradition to present the teenager of a nestling hunting birds, so, to wish him to become the courageous, strong Dzhigit. 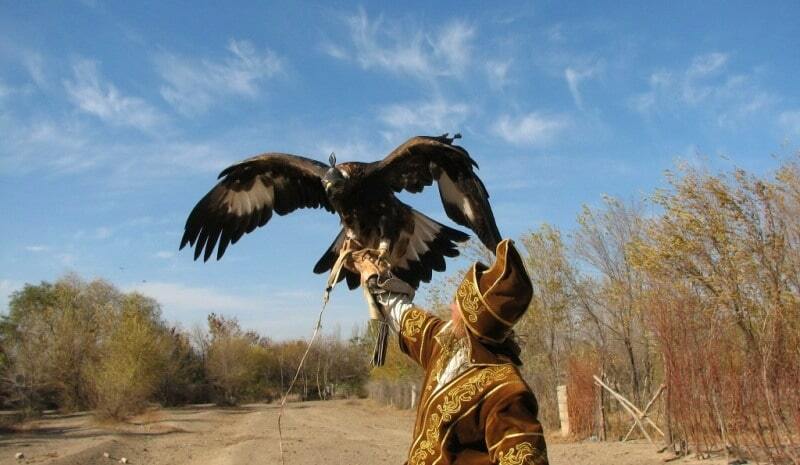 Bring up a golden eagle the big art, the Caught bird gradually accustom to the owner. For this purpose Berkutchi some nights do not close eyes also to a golden eagle to sleep does not give. The bird should accept a forage (slices of crude meat) only from hands of the owner. 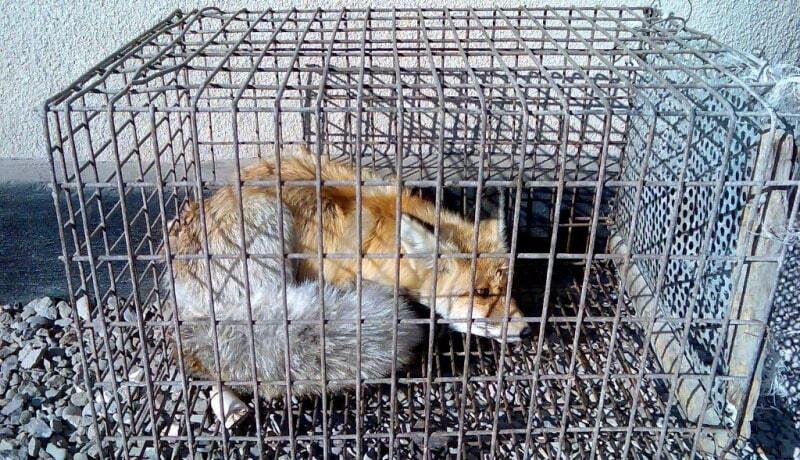 When she will get used to the hunter, its horse and a dog, it start to learn to hunt on a scarecrow of foxes and only then the present hunting begins. Specially trained golden eagle hunts on fine animals: hares, foxes, partridges, black hazel grouses. Equipment for hunting with hunting birds in Kazakhstan. For hunting with hunting birds specially prepare for equipment: a coverlet for a bird, a cap, a box, leash. Bardak - a special wooden prop for a hand which helps to hold a bird in weight of 6 7 kg on a hand! Shyrga - a skin of a hare or the fox with straw. So learn a bird. The hunter drags behind itself on steppe shyrga on a long cord and learns a golden eagle to rush on extraction. Kusbegi should have patience and persistence. Almaty - settlement Guldala - settlement Baiterek (Malovodnoe) - settlement Chilik - settlement Baiseit - settlement Nura - Almaty. Distance of route: 445 km. The Best time for tour: June - July. 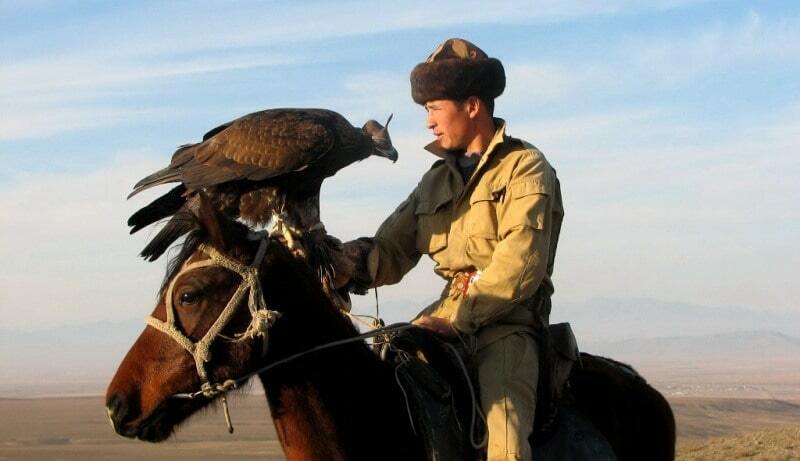 The purpose of tour "Hunting with golden eagle in Kazakhstan" - acquaintance to the nature of Kazakhstan, customs and traditions of Kazakhs, ancient tradition which hunting with hunting birds is. Phototours for hunting with golden eagle in Kazakhstan. Day 1. Almaty - settlement Baiterek - settlement Chilik - settlement Baiseit - settlement Nura (140 km). Arrival in Almaty. A meeting at the airport, transfer to hotel, accommodation, rest, breakfast. 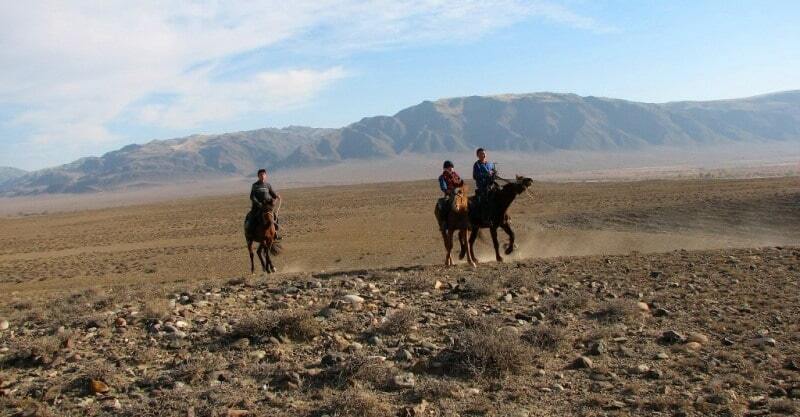 Transfer to a place of hunting: Almaty - settlement Nura. Our way lays through settlements which are located lengthways Kuldzha a path. 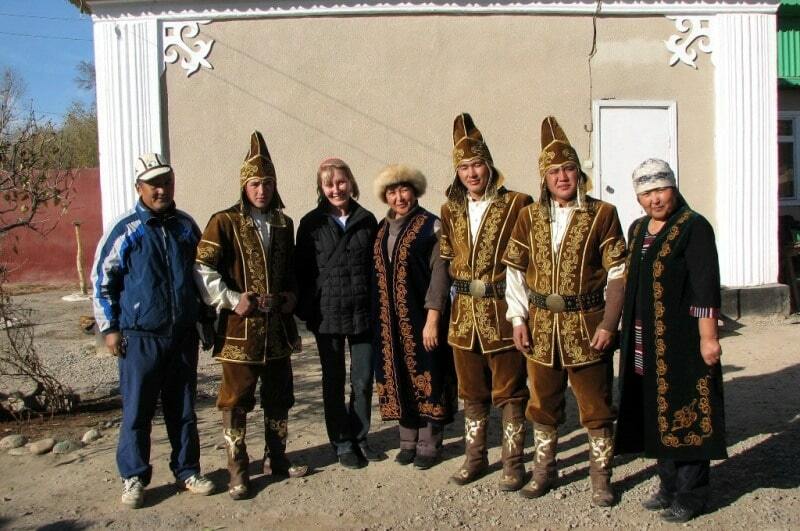 Arrival in settlement Nura, acquaintance to owners of the house, with berkutchi which will spend hunting with a golden eagle, with rules of hunting. In the house berkutchi we shall see the hunting golden eagles, hunting dogs of brood tazy. Visiting of a small museum in the house berkutchi in settlement Nura. Indicative hunting with a golden eagle. A lunch in the house at berkutchi. Transfer to settlement Baiseit or to settlement Chilik (20 km). Accommodation in the guest house, overnight. Day 3. Settlement Baiseit (Chilik) - settlement Kokpek – canyon Charyn - settlement Chilik - Almaty (285 km). Breakfast. A trip to canyon Charyn (80 km). 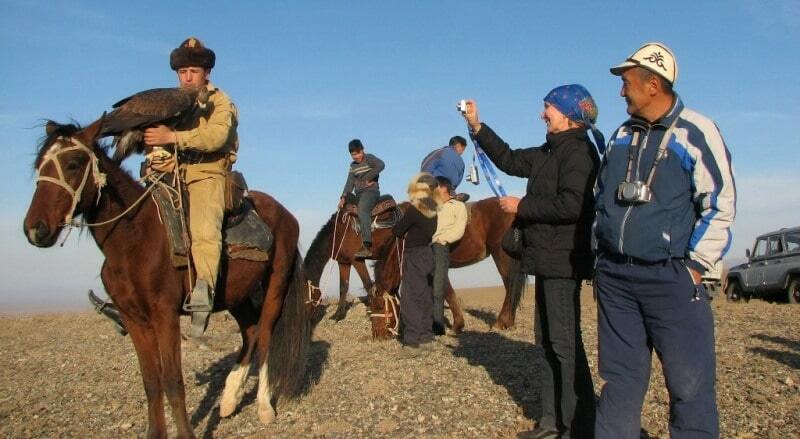 A stop on ecological to a post of national park "Charyn." Arrival to canyons Charyn, descent in a canyon, walk on a canyon to the river Charyn on the Glade of Cloudland (3 km). Photographing of vicinities, returning to a parking (3 km). A trip on a panorama of canyon Charyn (1,5 km). Photographing of canyon Charyn from panoramic points. Transfer: canyon Charyn - Almaty (200 km). The additional information for tour "Hunting with golden eagle in Kazakhstan". 1. Indicative hunting is to conduct with a golden eagle only on a hare, the rabbit or the fox. 2. Roads from Allmaty to a place of hunting with an asphalt paving. 3. Hunting with a golden eagle is to conduct in during the day. If during hunting there will be a bad weather, for example, the rain hunting with a golden eagle will not be conduct. In that case, it is possible to through to wait bad weather in hotels in settlements Baiseit or Chilik. Food and residing in hotels are paid by the customer of tour. 4. If weather will be bad and in other days, we shall return to you payment except for charges which we have. 5. For observations of hunting with a golden eagle horses, according to your desire, can be given, but also hunting with a golden eagle can be observed without horses from the ground. 6. 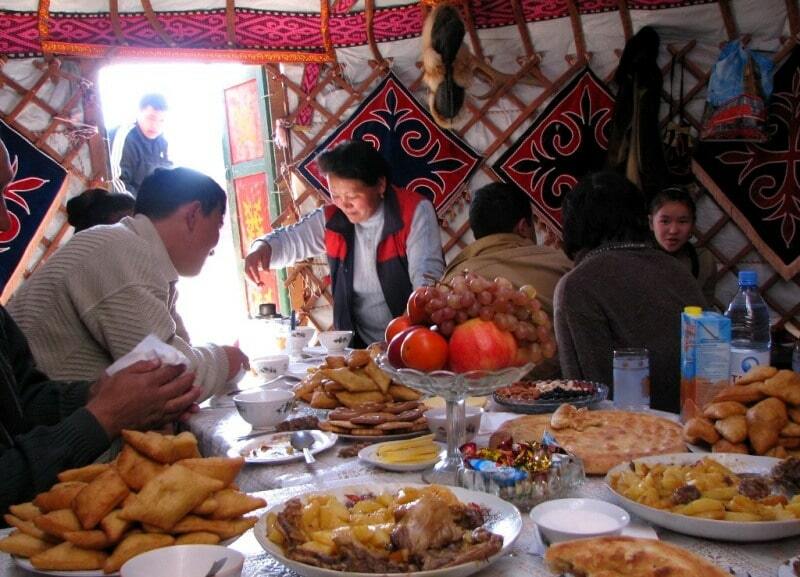 After hunting with a golden eagle we can offer a dinner with national dishes of the Kazakh kitchen.